The Tin Horse Highway is a laughing matter! The Tin Horse ‘Highway’ is a 15 kilometre stretch of road in Western Australia’s Wheatbelt which heads east along Kulin – Lake Grace Road from the town of Kulin to Jilakin Rock, the location of the annual Kulin Bush Races. 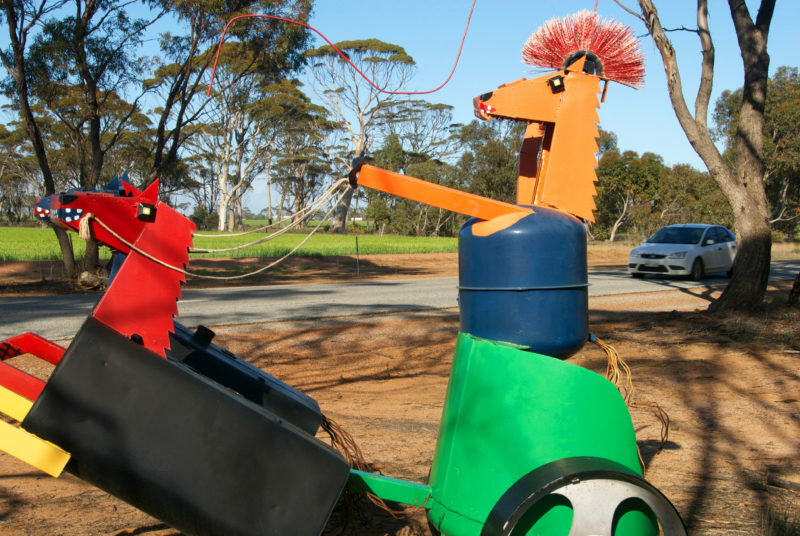 The roadside paddocks from Kulin have become a living gallery of bright, quirky community creations. The project which started as a community marketing campaign to promote the annual Kulin Bush Races, has quickly become one of Western Australia’s most popular and unique self-drive tourist attractions. The Tin Horse Highway provides a seriously entertaining drive and a fun alternative route through to Hyden and Wave Rock. Behind closed doors new and increasingly cheeky Tin Horses are being constructed by patrons of Kulin’s community who have developed a friendly one-upmanship with fellow tin horse pioneers. New additions can be seen popping up all over the place, larger, more colourful, and cheekier than the last. You’ll never know what you might see the next time you drive the Tin Horse Highway. Feeling creative? 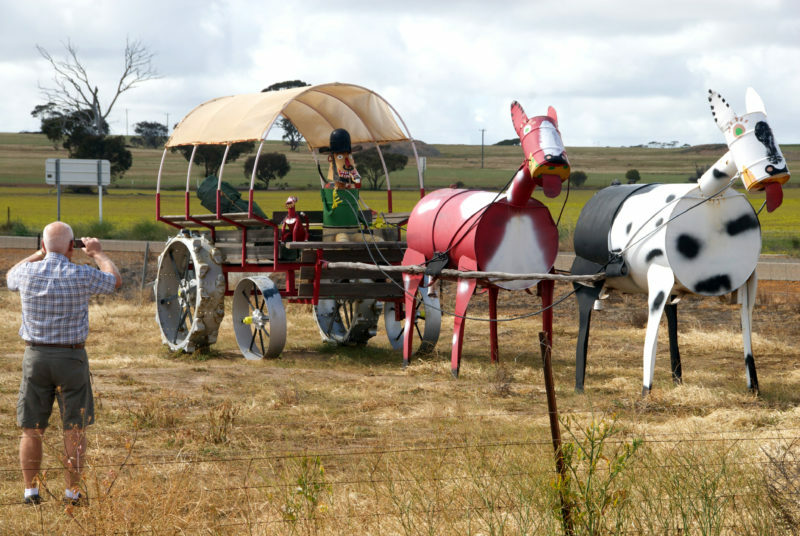 Every October, Kulin holds a competition for the best new Tin Horse as part of the Annual Kulin Bush Races weekend. Entry is free, and your creation could well become the newest attraction along the Tin Horse Highway.